The Ultimate List Of Hot Tub Benefits - How Your Hot Tub Can Benefit You. If you like the idea of owning a hot tub but don’t know whether you can justify such a major purchase, you may be interested in the following list of hot tub benefits. HotSpring World has served thousands of customers, many of which at first had reservations about where their hot tub would go, how much it would cost to run, and whether or not it would get used enough! But as soon as they discovered the extensive advantages of owning a home spa, the decision to buy became much easier to contemplate! Sitting in a hot tub for just 10-15 minutes in the evening will raise your body temperature and prepare it for a lovely deep sleep. Instead of sitting in front of the TV all night, your family will have lots more fun splashing around in the warm water of a hot tub. A healthier lifestyle choice! There are few things in life that can relax you as quickly as getting in a hot tub after a stressful day at work. Just sit back and soak it all up! With the addition of some scented candles, romantic music, and rose pedals scattered over the water, hot tubs are perfect for rekindling loving relationships. Soaking in a hot tub increases the body’s blood supply to aching joints while also helping to reduce some inflammatory causes in painful problem areas. LED lights, wireless audio systems, and LCD televisions can transform any hot tub into an all-round entertainment centre. Party on late into the evening in comfort! 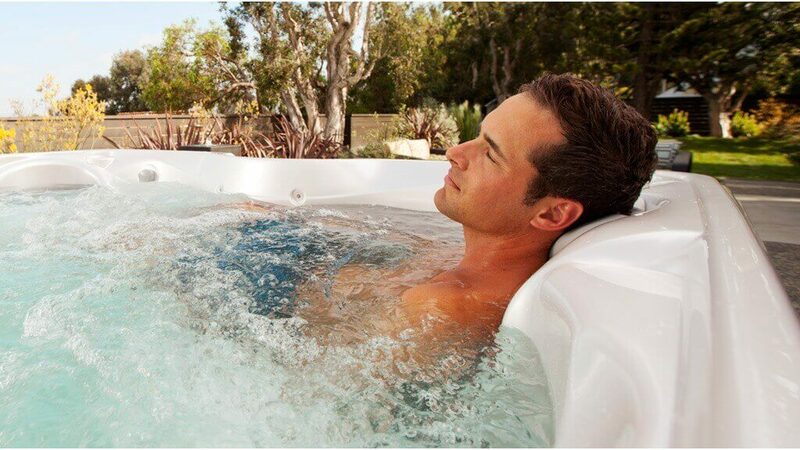 People that struggle to exercise on dry land can take advantage of a hot tub waters soothing natural buoyancy. Some hot tubs are big enough to stand-up in as well and can be used for chair exercises too. Providing there is adult supervision at all times, hot tubs are great for introducing young children to water and can help teach them how to swim, as it is a safe and secure environment. In addition to the warm water, which will allow muscles to relax and loosen anyway, a hot tub’s hydrotherapy jets can deliver a targeted massage to specific parts of the body where required. Hot tub’s can be the life and soul of any party, especially if you come up with some games for guests to play whilst inside. Go on, you know you want to! Warm water can encourage freer movement and build muscle strength for those with arthritis, while studies show diabetes sufferers require less insulin and can lose weight after daily hot tub sessions. Wonderfully relaxing! Even if you aren’t thinking of moving home in the near future, the addition of a hot tub can help you command a higher price if you do decide to sell. The bitterly cold winter months won’t seem as bad if you have got a warm and inviting hot tub to retreat into. After an intense workout session at the gym, just a few minutes in your hot tub will soothe sore muscles and aid the body’s natural recovery from exercise. So there you have it, our ultimate guide to the many benefits of hot tub ownership, we hope you enjoyed it!